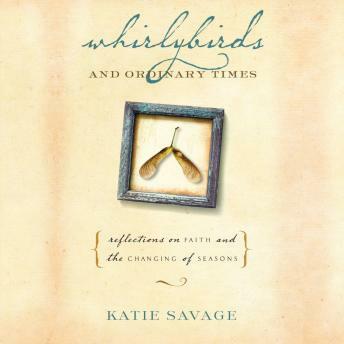 In Whirlybirds and Ordinary Times, author Katie Savage beckons you to join her as she embraces the mystery of faith and gently eases into the sometimes turbulent waters of contemplative exploration. She writes with honesty and humor about the uncertainty and doubt that is inherent in the life of the growing believer, finding that even in the midst of questions, bold assurances of faith emerge. You’ll find yourself falling into step with Katie as she meanders through the liturgical calendar of Advent, Christmas, Epiphany, Lent, Easter, and Pentecost, as this insightful audio book weaves ordinary stories and surprising insights into satisfying reflections of the spiritual life, relationships, and life as we know it. This delightful collection of essays will stimulate your thinking, stir your heart, and nurture your soul.